A Bedfordshire policewoman has been honoured for her work in tracking down the murderer of a man in Potters Bar. Detective Constable Kelly Adams was part of a team who caught the killers of Miltiades Papadopoulos, found dead at his home in Potters Bar, Hertfordshire, in October 2014. It has been described as one of the most challenging and complex cases that the Major Crime Unit has faced in recent years. The offenders went to great lengths to frustrate the investigation and to cover up their involvement. Identifying those responsible was as a result of diligent police work, extensive analytical phone work and painstaking forensic recovery. Following a trial three defendants were found guilty. 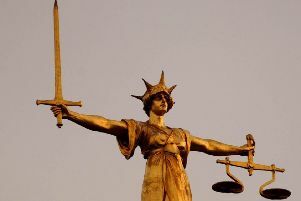 One received a life sentence to serve a minimum of 25 years for murder and the other two were found guilty of manslaughter and given 13 year sentences, in addition to concurrent sentences for other offences. The team were commended by His Honour Judge Lucraft QC for leaving no stone unturned to get to the bottom of what had happened. Her award was part of an awards ceremony for staff working for the Joint Protective Services Command covering Bedfordshire, Cambridgeshire and Hertfordshire. The awards recognise occasions when officers and staff have acted in an outstandingly courageous or resourceful manner, over and above what could be expected of them. All recipients received an Assistant Chief Constable’s award. As well as DC Adams. Detective Sergeant Heath Monk,aged 49 and DCI Jo Walker, who is based with the Major Crime Unit in Welwyn Garden City, were also honoured for their work on the case.